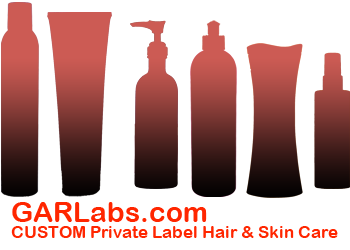 Considering the options to bring your hair care, skin care, shampoo or other product to market with the manufacturer? The following information is helpful for any person or company that is starting the process and is built to help you save time, save money, and make informed decisions. If you have any questions, call GAR Labs at 951-788-0700 or email info@garlabs.com. Choose a PRODUCT NAME for your product & Trademark it! Important! Go to http://www.LegalZoom.com/Trademarks-guide/conflicting-Trademarks-search.html OR http://www.uspto.gov/sitesearch.jsp to make sure there is no conflicting similar names. 2) FINISH WITH THE PRODUCT LAST! Contact GAR Labs and talk with us about the type of product you want, we will help you decide on the color, fragrance and performance of the product. We will then send you a representative laboratory sample for you to test and approve. Looking for product packaging and other suppliers for your hair care, skin care or shampoo contract manufacturing project? Click here to see an extensive list of companies GAR Labs has selected for your project that we believe to be fairly priced and capable of handling industrial quantities. If you need Long Term local Warehouse Services that will also agree to ship Single Boxes of your products, we recommend Sooner Logistics (Warehousing & Distribution) (Patrick) www.SoonerLogistics.com (805) 222-2030. They are one of the only long term Warehousing & Distribution company that we found that picks up your product with their OWN TRUCKS…which means you don’t have to find a trucking company pick up the pallets, they cover that and that’s one less thing to worry about, it makes warehousing simple.